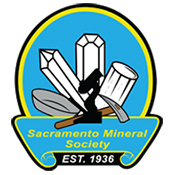 Since 1936, the Sacramento Mineral Society has held the Annual Sacramento Gem, Mineral and Jewelry Show as their main fundraiser! This awesome team is the backbone of this show!!! !